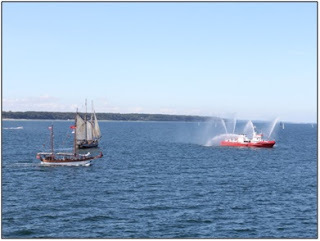 During the two day sortie from Aalborg to Rostock, the ship transited through restricted waters and dense merchant traffic. Whole of the passage was through recommended routes and the depths not more than 20-30 meters. Requirement was thus to conserve water as the Reverse Osmosis plants couldn’t be switched on. Calm seas and sunny days were a rare blessing especially for this region. We had Santa Maria Manuela, Urania, and quite a few local sailing vessels for company, as all of us were heading for Hanse Sail 2015, Rostock. On 06 Aug 15, the ship commenced entry into harbour at 0800h after embarking the pilot and came alongside berth k starboard side to. 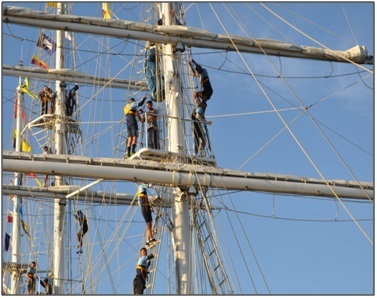 Tarangini along with all the other sail training ships was berthed in the Naval Harbour. This meant lesser crowds, more space on the Jetty, and proximity to the local beach. By now the crew has gotten into a groove and the ship is ready to host visitors within no time. We were also expecting a visit from Vice Admiral Sunil Lanba Flag Officer Commanding In Chief, Southern Naval Command. 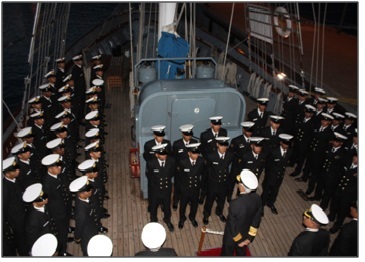 On 06 Aug 15 Vice Admiral Sunil Lanba C-in-C Southern Naval Command visited the ship. The C in C addressed the crew of the ship congratulating them for the success of the voyage so far and wished the best for upcoming events. 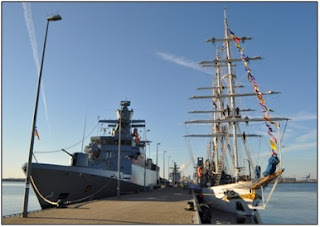 The ship was open for visitors during the stay at Warnemunde Naval harbour. 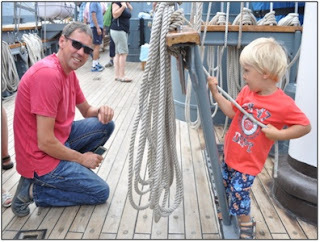 People from all over Rostock and the surrounding towns visited the ship. The ship participated in the crew games conducted as part of Sail Rostock. Crew games include football and volleyball. 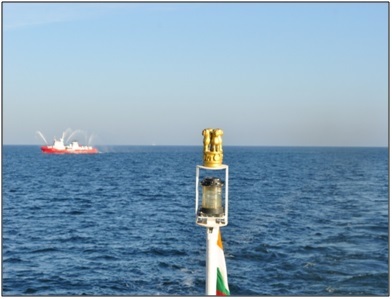 The second batch of 88 IOTC reported onboard on 08 Aug 15. 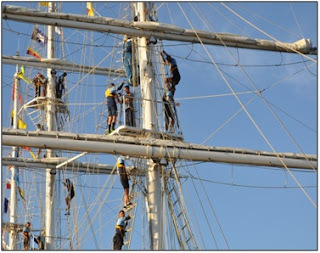 As they had only one day to get race ready and to integrate with the Team, they were immediately put through Harbour training. 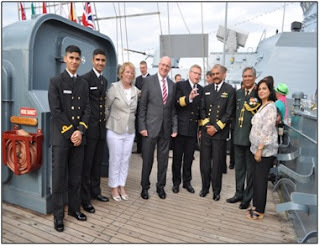 The Rigging Officer, Lt Kshitij Sharma, rightly remarked to them in his opening address, “The best way to see Rostock is from the ‘Royals’ of your respective masts.” And so they did, ‘See Rostock from the Royals’. Like every other port the ship hosted a reception for the local dignitaries. 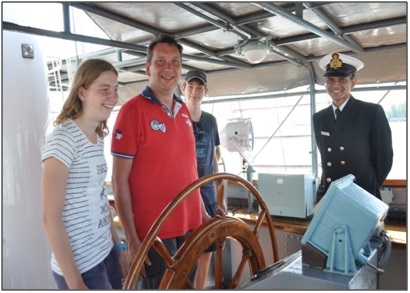 The guest list included the Vice Chief of German Navy Vice Admiral Brinkmann, the Lord Mayor of Rostock, the Base Commander, and Captains of various sail ships. The Commanding Officer addressed the gathering and expressed his gratitude to the hosts. The evening went on as the guests enjoyed Indian food, Spanish Wine, Danish Beer, Irish Whiskey in a German Naval Base, on an Indian Ship. Truly International indeed. The evening was culminated with a performance by the Sea Trainees, whose harbour training during the day included a practice session with the ship’s bugler.